Kentucky Equine Management Internship (KEMI) was honored to receive the William T. Young Humanitarian Award at the annual Kentucky-Bred Champions Awards Luncheon. 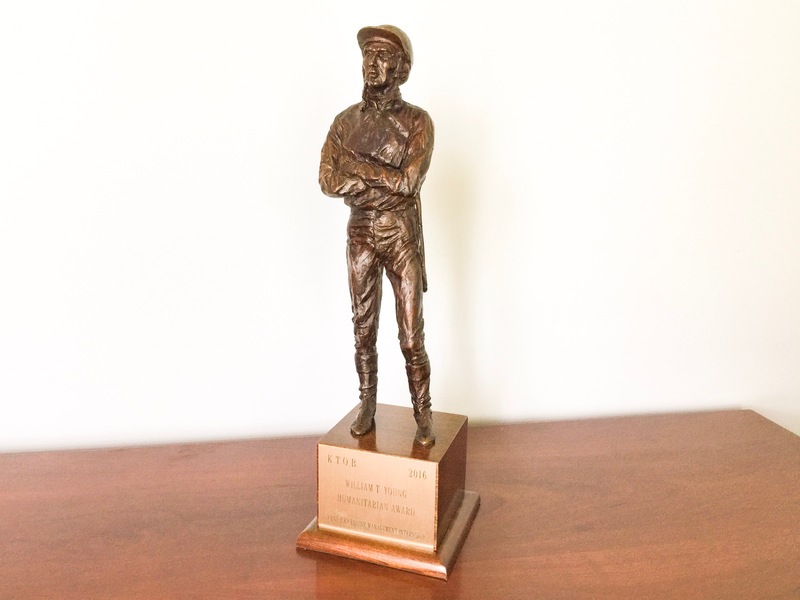 The Kentucky Thoroughbred Owners & Breeders established this award to recognize people and organizations within the industry for their humanitarian efforts. KEMI is dedicated to improving the opportunities for young people seeking careers in the Thoroughbred industry. The internship program places college students or recent graduates on some of the most prestigious Thoroughbred farms in Central Kentucky, where they live and work for five to six months and gain hands-on experience working with some of the finest Thoroughbreds in the world. KEMI also exposes the interns to lectures, seminars, and industry events to meet and learn from industry professionals. KEMI has had the honor of serving the Thoroughbred industry in the Bluegrass for over sixteen years and has offered internships to nearly 1,000 young people from all 50 states and 19 foreign countries. Many of our interns choose to stay in Central Kentucky and pursue careers in the Thoroughbred industry, becoming the next generation to continue the tradition of world-class Thoroughbred nurseries and racing in the Bluegrass. The KEMI program would like to thank KTOB for this honor. We would also like to thank all of the farms, industry professionals, and collegiate equine programs that support our efforts.